A brown cuban heel beatle boot boot with a buckle strap. 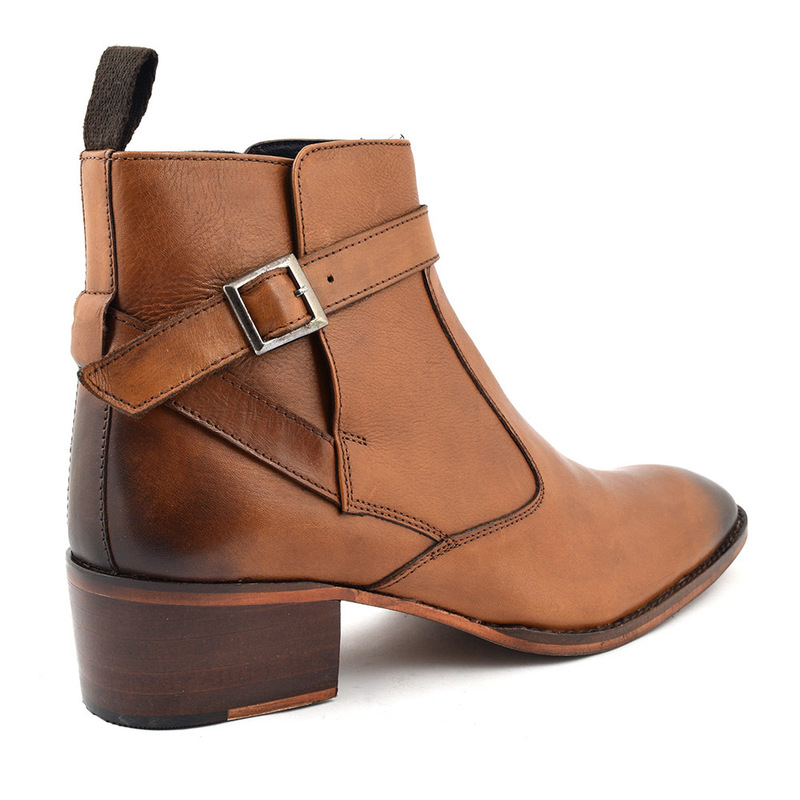 This pull up boot has a 5cm heel and there is a subtle bleed into a darker brown to the toe and the heel. A brown heeled boot with a designer feel. 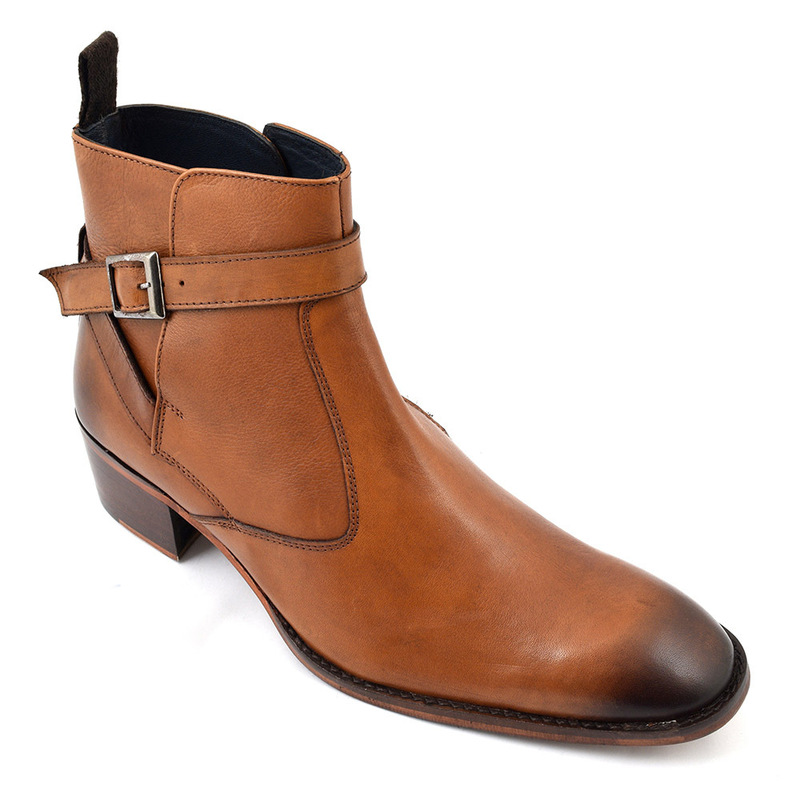 Original and cool brown cuban heel beatle boots for men who are original and cool. The colour bleeds into a darker brown to the chiselled toe and there is a buckle strap but the main event is the near 2″ heel. There is something really decadent about these mens heeled boots and they would look great with jeans or sharp trousers. Many centuries ago, it was considered masculine to wear heels and in fact, soldiers were known to wear them into battle (think cowboy boots and stirrups). This was in Persia and the fashion was transported over to Europe where the upper classes took to wearing heels with gusto. This culminated with the French aristocracy (namely Louis XIV) really going for it with 10cm heels adorned with battle scenes. The soles were painted with expensive red dye and only a chosen few could wear them. The impracticality of mens heels was considered a status symbol but after some time, heels began to feel frivolous and men began to dress more sombrely. 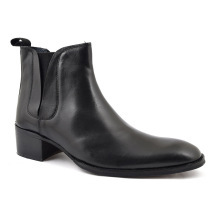 However, the fashion and open mindedness of the sixties brought back the mens heel in the form of cuban heel boots. Obviously named after the dances from the Southern American countries. The Beatles really are credited with designing this style of boot or certainly popularising it. 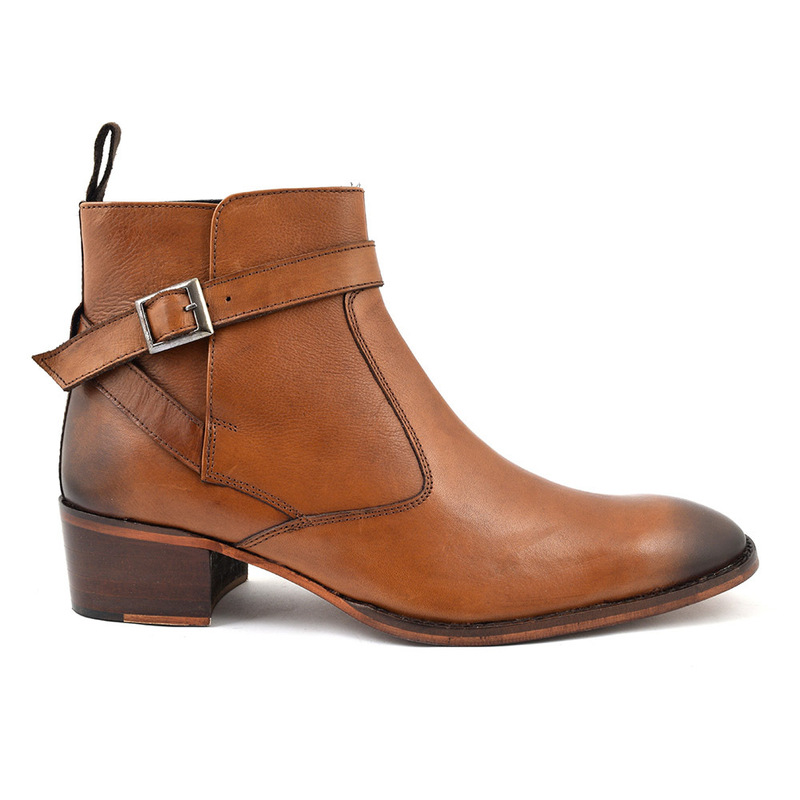 The edginess of this brown cuban heel boot is in the heel and shape of the last. 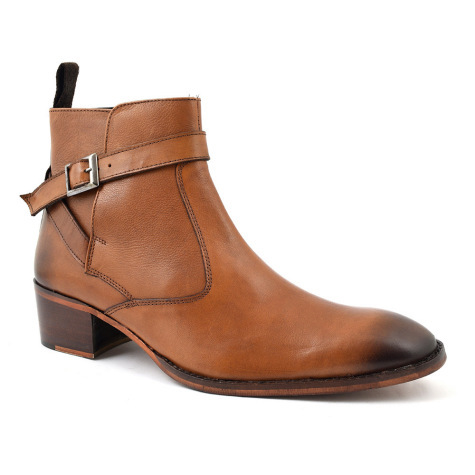 Wear with pride and you will look sharp in these brown cuban heel boots. 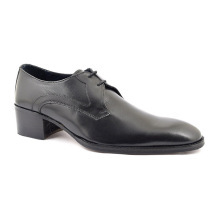 Be the first to review “John Brown Heel Beatle Boot” Click here to cancel reply.